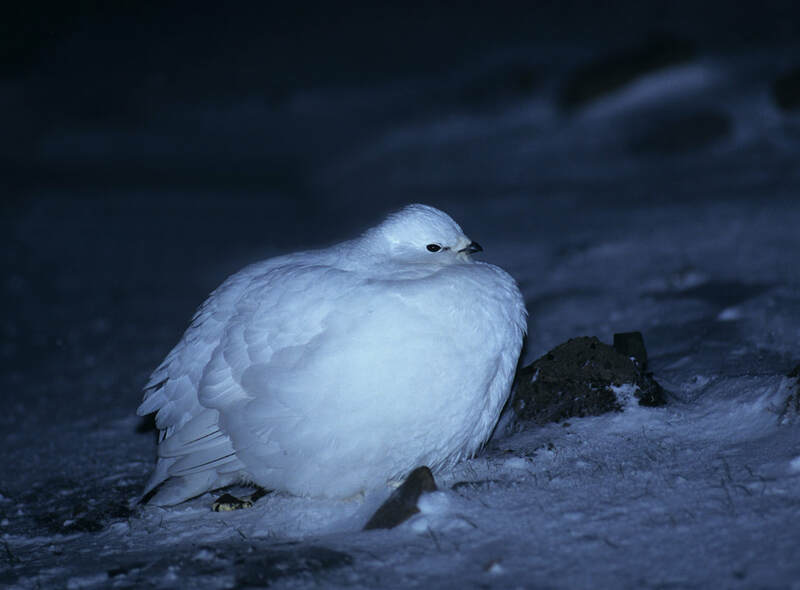 The Svalbard Rock Ptarmigan is a subspecies of Rock Ptarmigan. Found over the most of the island group throughout the year. 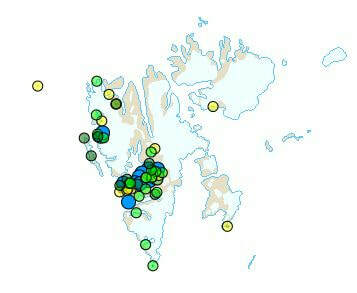 Somewhat more numerous on Spitsbergen island, Barents and Edge islands. Usually occurs in pairs in its territory. 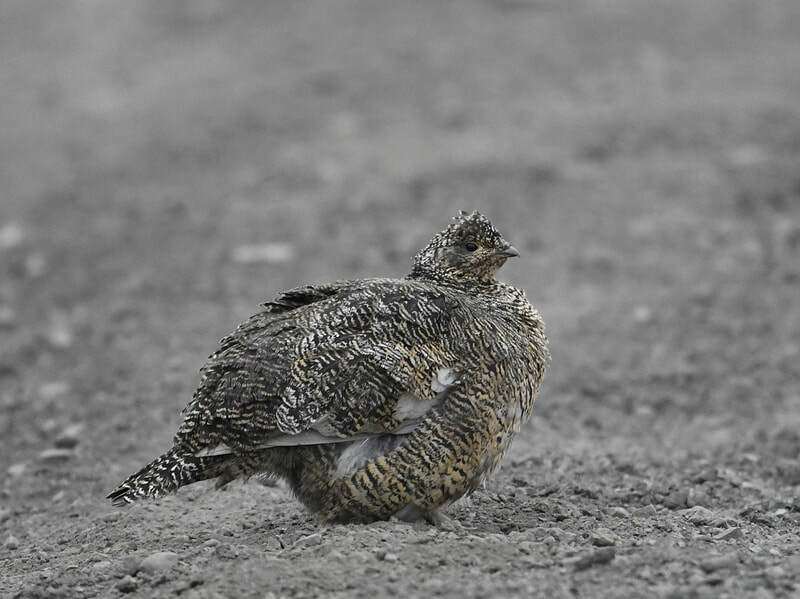 The female with its young remain together (brood flocks) during summer and autumn. Can occur in large flocks from late autumn until March. The population numbers several thousand pairs. 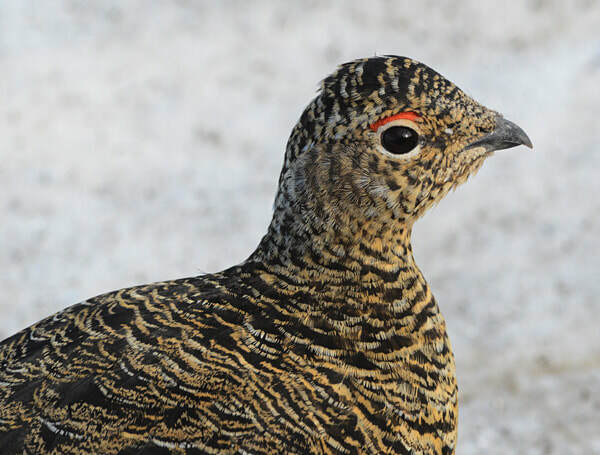 Features: 35-40 cm, 0.5-1.2 kg (considerably larger that Rock Ptarmigan on the mainland). 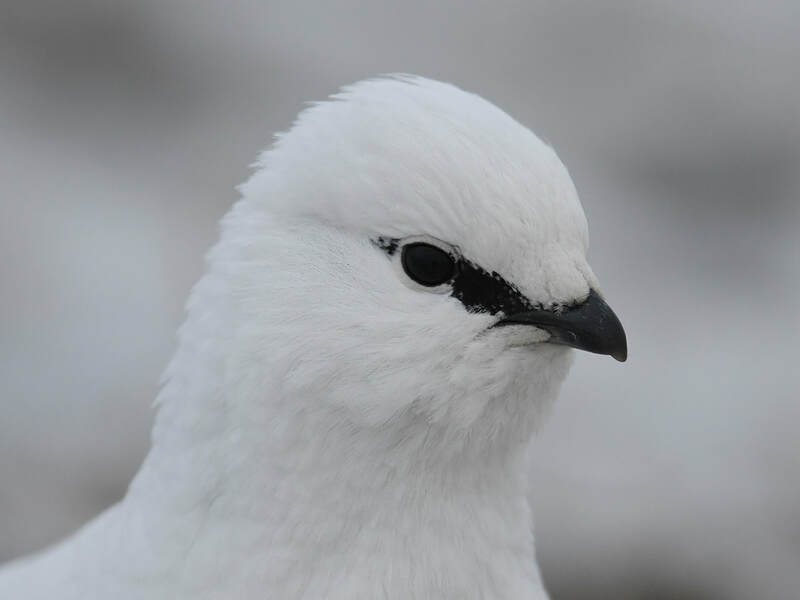 The male is slightly larger, is white most of the year and has a red comb over the eye in May-July. Late in June the plumage of the male quickly becomes dirty with more brown feathers in the plumage from July to August. The female moults into summer plumage from April and has full summer plumage early in June. The male has a broad black band between bill and eye. Older females also have a black band, but it is more narrow and often segmented. ​Breeding: Breeds throughout most of the island group (not Bjørnøya). Normally lays 9 to 10 eggs (7-13) in a hollow lined with small leaves and other remains of plants on vegetated ground.